Laptops have been outselling desktop PCs for over a decade, with good reason. On the obvious side, they’re portable. However, that doesn’t mean choosing a laptop requires having to compromise on capability; configured correctly, a laptop can do anything you need a PC to do and sometimes more. With new options like convertible laptops and Chromebooks, the number of choices available to laptop shoppers is better than ever. Make an informed decision and you’ll end up with a laptop you can enjoy for years of solid service. When we talk about laptops, we’re using an umbrella term that covers a series of portable PCs, each suited for a different purpose. While the general clamshell form factor is the common thread, each can be very different when it comes to capabilities, intended use and price. 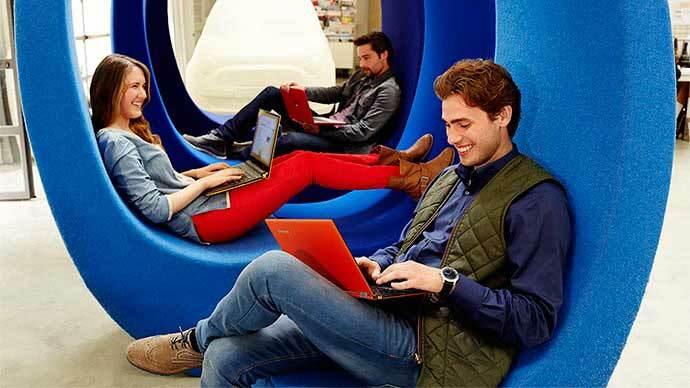 Platform: Windows, MacBook or Chromebook? One of the biggest questions when it comes to laptops: what platform? Mac laptops and Windows laptops are very similar when it comes to hardware (both are based on the same PC architecture). They differ in the operating system (Mac’s use OSX and Windows uses, well, Windows (currently Windows 10)! The difference in operating system means there are some differences in the software and accessories used for each type of system. 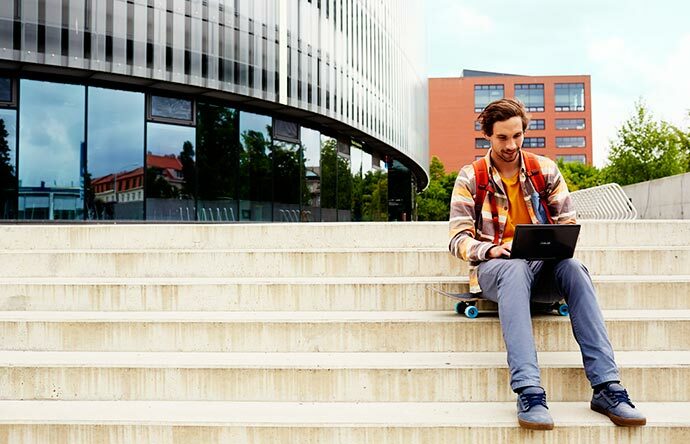 It usually makes sense to go with the platform you are most comfortable with, that you have compatible software for, or that your school or employer uses. 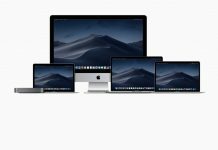 Mac laptops tend to be more popular with people who need to run creative software (photo or video editing for example), while PC laptops are preferred by people into gaming (far more titles are available for Windows than for Mac). Windows computers also tend to be more popular in business and enterprise environments. 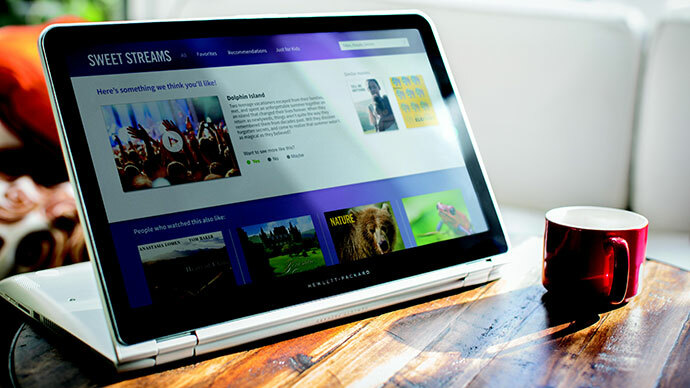 Chromebooks are a recent addition to the laptop world and they make an excellent, affordable option for many people. They operate on the Chrome operating system or Chrome OS, which operates primarily by accessing cloud-based applications. That means Chromebooks require less powerful processors than other laptops, they require less RAM (2GB is average) and for storage will often use a fast SSD—usually 16GB or 32GB. 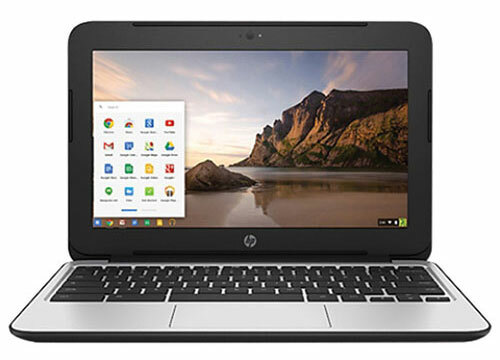 Chromebooks are usually a very low cost computing option that is perfect for many consumers. Don’t let the specs fool you, though. Chromebooks can still be snappy performers because they leverage the immense computer power of servers on the internet. As the name suggests, everyday laptops are intended to be a default choice for someone who needs a portable machine that can do just about anything. They’re also priced across a wide range to suit a wide variety of needs. Most people choose a display in the 13-inch to 15-inch range and specs good enough to take on most tasks, including word processing, web browsing, watching video or light gaming. Select the right combination of price and capability for your needs for home, for school, or for business applications. 2-in1 Laptop: This is quickly become the most popular type of laptop. 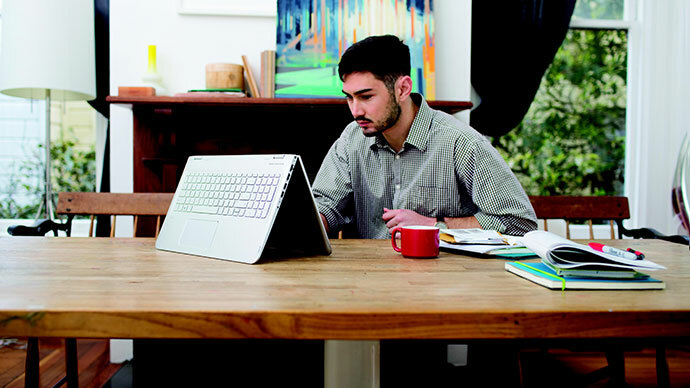 2-in-1 laptops are two devices at the same time: a laptop, and a tablet. Thanks to ingenious hinges that twist, slide or flip, the display can be positioned flat against the bottom of the case, transforming the device into a tablet form factor, perfect for running apps designed for tablets or for use with a stylus. 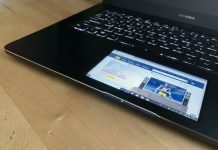 Some 2-in-1s go even further, actually allowing the display to physically separate from the base as a standalone tablet. Gaming Laptop: This laptop pulls off a very difficult trick, by stuffing the components needed to run video games—one of the most demanding tasks for a PC—inside a portable case. While display sizes can vary from 13-inches to 17-inches, gaming laptops will always look a little chunky compared to other models. That’s because manufacturers need to fit a dedicated graphics card inside, as well as a beefy CPU and other high end components. Power demand is also high for gaming laptops and although they have large batteries, they can’t compare to other laptop types for battery life (expect anywhere from 3 hours to 5 hours on a charge). 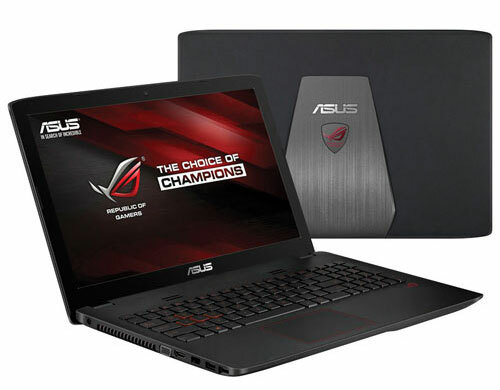 While these mobile PCs are aimed squarely at gamers, because of their big, high resolution displays and powerful CPUs, gaming laptops are often used by professionals as well—especially those who need to run demanding software like Photoshop. There are many components that go into every laptop, but there are four that have the biggest impact on a laptop’s performance and capabilities and cost: The CPU, RAM, the display and storage space. Think of the CPU as the brains of the operation. The more demanding the tasks a laptop needs to perform, the more brain power it needs. When we talk about CPUs, several terms are worth knowing. Clock speed (measured in GHz) tells you how many cycles per second a CPU can perform. All other things being equal, a CPU at a higher clock speed will be faster than a lower one. Cores are processing units that can perform instructions. The more cores a CPU has, the better because this means it can perform multiple instructions simultaneously. There are also families of CPUs that provide varying degrees of power, and within those families, different generations. Generally speaking for both Intel and AMD processors, larger numbers (7 versus 5) mean they will work faster, and run more different types of applications. Needless to say, all of this can be more than a little confusing. What should you be looking for in a laptop CPU? A general purpose laptop will be equipped with a CPU from a lower to mid-range processor family, typically with two cores at a modest clock rate. 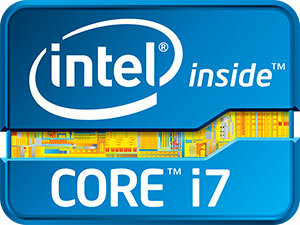 A dual-core, Intel Core i5 at 2.2GHz is typical. Move to a more powerful laptop suited to professional use and the CPU will be much beefier too. You might find the same dual-core Intel Core i5, but at a higher clock rate like 2.7GHz; this is also where you start to see Intel’s quad-core, Core i7 CPU make an appearance. 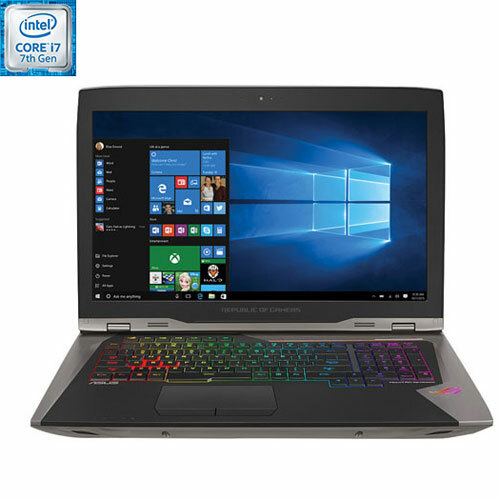 Gaming laptops will usually have a Core i7 as well. RAM: What Is It and How Much Do You Need? RAM (or Random Access Memory) is where the laptop stores information it’s currently using. The general rule of thumb is that there is no such thing as too much RAM. The more RAM you have on tap, the more windows you can have open and the snappier your performance will be. That being said, RAM costs money, so you need to find a balance. With 64-bit Windows 10, the minimum supported RAM is 2GB, but I wouldn’t suggest a laptop running Windows or OS X that has less than 4GB installed—it will run now, but a few OS upgrades in or too many apps open at once, and it’s likely to start bogging down. Any laptops I buy (for general and professional use) have a minimum of 8GB of RAM installed. A power user or a gaming laptop would benefit from having 16GB of RAM on tap. If you don’t need the extra RAM today, chances are you will before long. 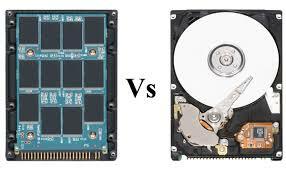 HDD or Hard Disk Drive is the technology that’s been used for onboard storage for decades. It’s a spinning platter with a magnetic head, it works well and it’s inexpensive. SSD (Solid State Storage) has become more popular in recent years, especially in many 2-in-1 computers, Microsoft Surface and Apple MacBook Air. SSDs are more expensive than HDDs—considerably more so at large capacities—but they have multiple advantages including lower power consumption, no moving parts, quieter operation and especially speed. A laptop that takes 60 seconds to boot up with an HDD might take only 10 seconds if equipped with an SSD. Complicating things slightly are new hybrid drives that combine a small capacity SSD with a traditional HDD. 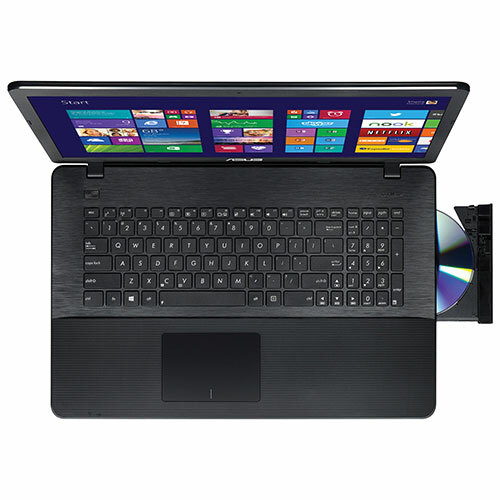 The operating system is stored on SSD for faster operation, while the HDD offers plenty of cheap storage. Like RAM, experienced PC owners will tell you that there is no such thing as too much storage. However, cost is once again a big factor here, especially if you choose the SSD option. When it comes to capacity, most general purpose laptops offer a 500GB hard drive, while professional and gaming laptops often hit 1TB. Laptops with an SSD typically start at 128GB and go up to 256GB. Never take the display for granted. This is the component you’ll be interacting with the most and it can make or break your laptop experience. 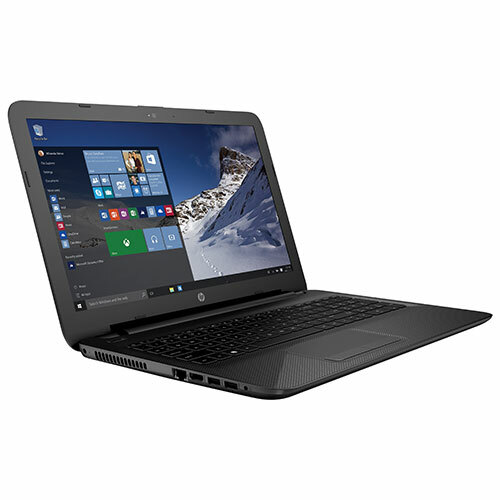 It also dictates the overall size of the laptop and can have a very big impact on overall price. Display sizes on laptops range from less than 12 inches to more than 18 inches. In particular, pay attention to resolution. A large, 17-inch display with low resolution will look pixelated—it’s like watching standard definition TV, up close, on a 60-inch Ultra HD TV. A small display with low resolution will look crisper, but it won’t be able to show as much information. When it comes to cost, the larger the display the larger the price tag and as you go up in resolution the cost also increases. The trick is to find the combination of display size and resolution that meets your needs. For general purpose web browsing, a 13-inch display at HD resolution should suit most people, but business users and gamers will want 15-inches or more with at least Full HD resolution. Other display variables such as contrast ratio, colour accuracy, brightness and reflectivity primarily come into play with professional laptops. If you use Windows’ touch gestures, you’ll also want a touchscreen-enabled display—an option that’s not available on the Mac platform. Compared to a desktop PC, upgrading a laptop can be a little trickier and is primarily limited to adding more RAM or storage, or replacing the battery. When considering an Ultrabook or Convertible laptop, it’s important to know that many of these super-slim notebook PCs achieve some of their space savings through use of soldered RAM and SSDs and batteries that are specially designed to fill any available space within the body. I always suggest people plan ahead: choose the model with the maximum amount of RAM and the largest capacity SSD possible, because in two years, you may not have the option of upgrading these components. The non user-replaceable battery means not being able to swap out batteries during extended use away from a power outlet, and having the battery professionally replaced once it wears out. For most people this isn’t an issue—battery life on these machines is usually “all day” and the battery is often good for several thousand recharge cycles before it needs replacing. Now that you have a better understanding about what all the buzzwords and tech specs mean, check out Best Buy’s huge selection of laptops. Best Buy has a laptop to fit any size, capability, and budget. Loved the articles it really helped me. Nice detailed post. But I prefer mix of value and quality. I am looking out for long battery life and performance. 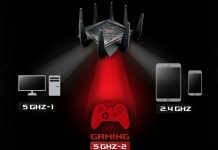 I think Asus will do the best. In my opnion asus have good features relating prices so anyone can go for asus..and battery back up is also good..good for travelling. It is actually up to the person’s purpose. For business it is important to buy a small size and long life battery. But for gaming the performance is essential. I prefer the mixture of them so I can use it for any purpose. Thanks for tips. Excellent everything is posted in this article, what you need to know about before make a Laptop Purchase. Excellent article although I wish Best Buy could explain further into the brands (HP, Dell, Apple, etc). Additionally, there should be some information regarding materials used in laptops, and how their weight is differed (plastic or aluminum). However it seems to be only in USA. WHAT PRICE DO WE HAVE FOR THIS ONE IN CANADA WOULD U PLEAE LET ME KNOW….. I AM RETIRED AND THIS IS WHAT I CAN SPEND ON A NOTEBOOK…OR A LAPTOP. I LIKE THIS ONE AND THE PRICE IT IS AT. …PLEASE REPLY URGENTLY. Please log into Bestbuy.ca, Price will be displayed in CDN Dollars.